My card is average size of 4 1/4" x 11" and then scored at 5 1/2" and is using the Basic Black card stock. I then took a piece of Typeset Specialty Paper. This is a paper that is thinner than our normal DSP. It really is a great paper! I LOVE IT!!! This is cut at 4" x 5 1/4". 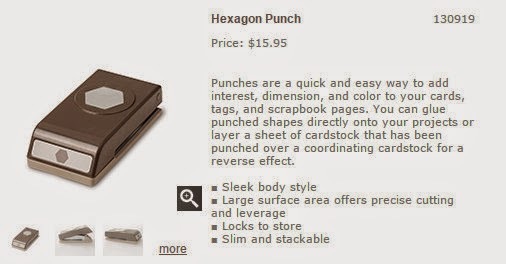 The item that I am showcasing today is the stamp set and coordinating punch that i used.